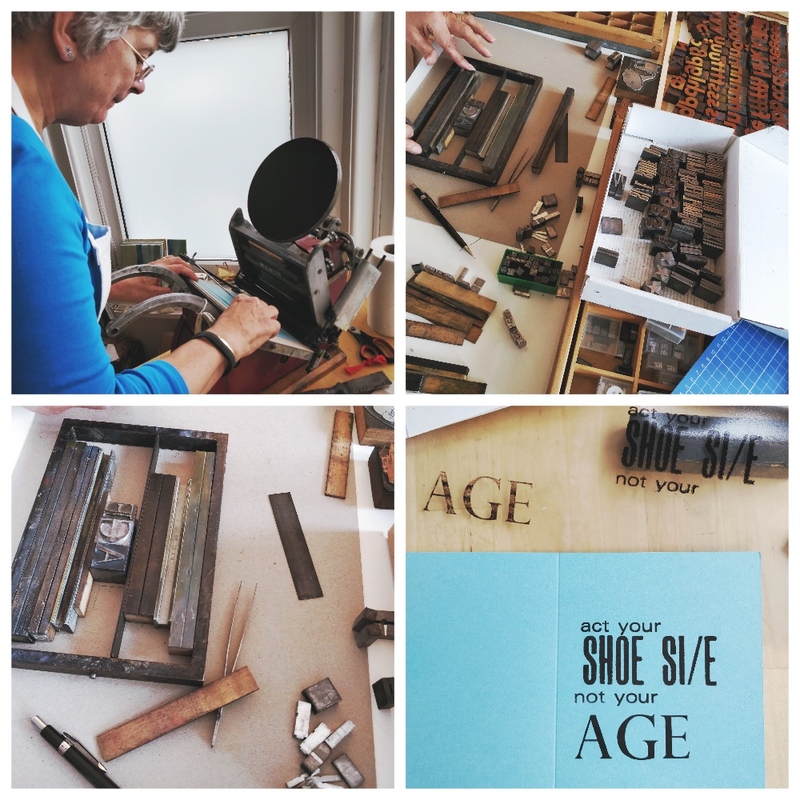 Jacquetta brings some fun and quirky type setting to this morning’s letterpress workshop. With no Z in this alphabet she comes up with another solution. A forward slash hints at the idea of a Z. Simple and effective. Oh the beauty of limitations. Jacquetta making sure type is back to front and and not upside down in this case as type is set straight into the chase. Jacquetta chooses large caps type for SHOE SIZE & AGE to make her point. Jacquetta’s finished motto printed on the adana 8 x 5 printing press. Jacquetta was a fantastic problem solver and quick to learn which shows in her beautifully finished letterpress prints. 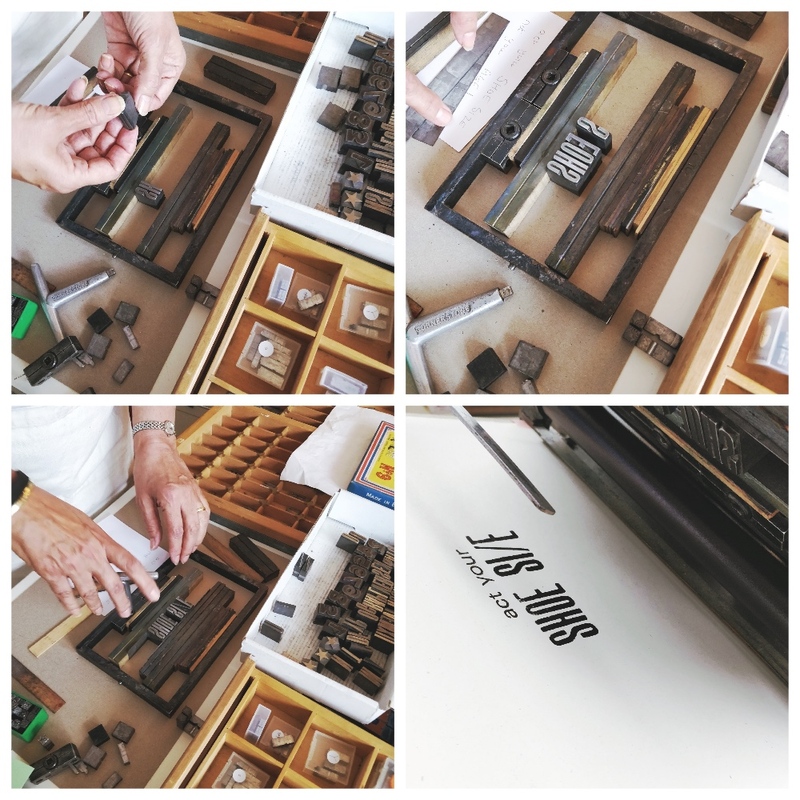 Thanks Jacquetta for sharing this video about Hamilton Wood’s Type and Printing Museum. 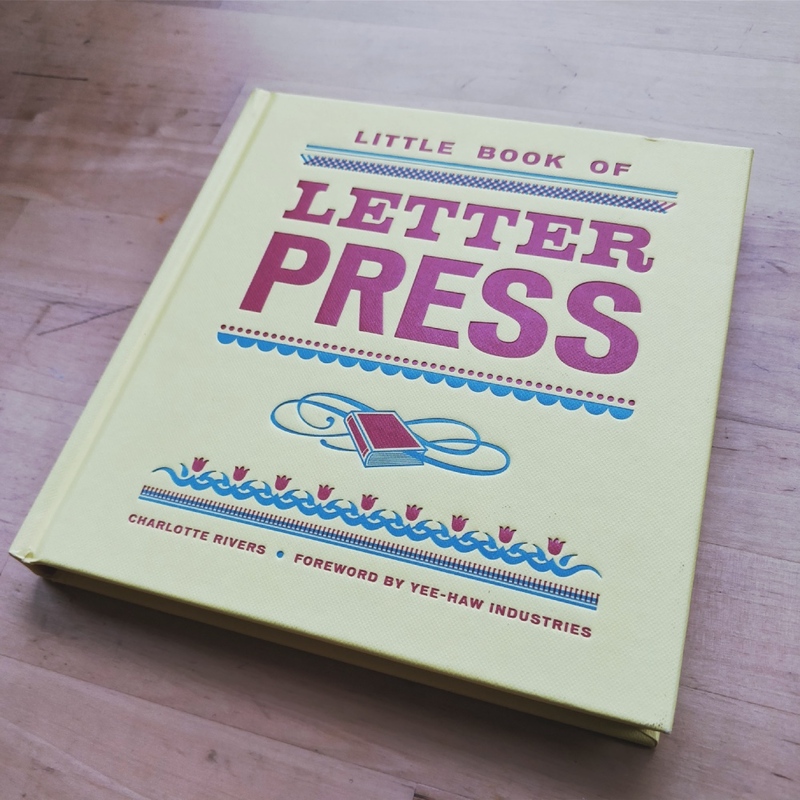 And thank you also for this beautiful gift ‘Little Book of Letterpress’ by Charlotte Rivers.